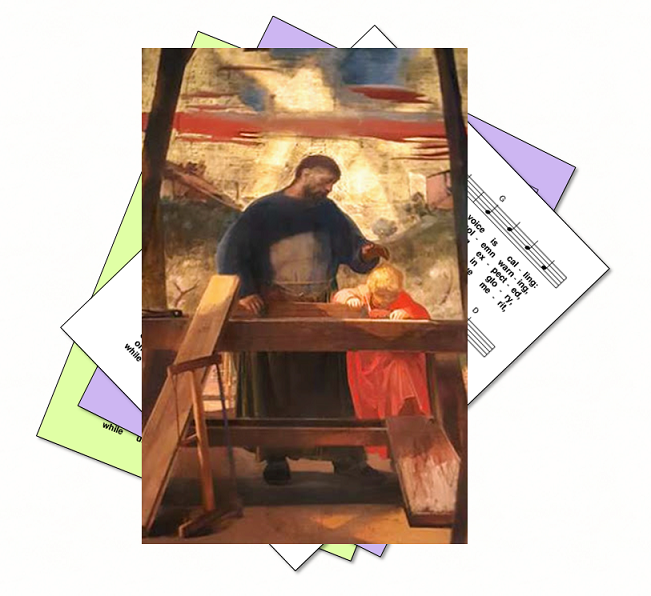 A selection of hymns and songs, based on the readings and themes for the memorial of St Joseph the Worker, as well as the stories and themes associated with his life. A small selection of hymns that are still copyright are also included, where these are particularly relevant. Joseph has two feasts: today, and 19 March - St Joseph husband of Mary. He was Jewish, the son of Jacob and descended from King David, and worked as a carpenter. A man of deep faith, he was open to receiving messages from God in dreams, dedicated to doing God’s will, and compassionate toward his betrothed. Genesis 1:26-2:3 - The story of creation. Col 3:14-15, 17, 23-24 - Over all these things put on love ... And let the peace of Christ control your hearts ... Whatever you do, do from the heart, ... be slaves of the Lord Christ. Gospel: Matthew 13:54-58 - Jesus came to his native place and taught the people in their synagogue - They were astonished and said ... Is he not the carpenter's son? .... "A prophet is not without honour except in his native place and in his own house." Compassion. Serving the poor. Justice and social concern: the dignity of human work and its creative role in the development of the human person. Preferential option for the poor, and analysis of the causes of injustice and poverty. Human work as a prolongation of the work of the creator, a service to their fellow men, and their personal contribution to the fulfilment of the divine plan. Because this feast was only instituted in 1955, there are few hymns which are copyright free as yet. However some hymns for Labour Day may be appropriate. 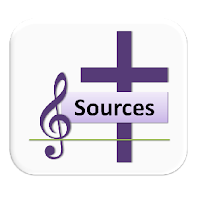 Suggestions about hymns that could be included are welcome: leave a message in the Comments box near the bottom of the page.